Student organizations across the University combined efforts last week to submit multiple comments — including a 33-page joint statement — to the United States Department of Education about Secretary of Education Betsy D. DeVos’s proposed Title IX rules. DeVos released the new rules in November 2018, opening them up for a 60-day public notice-and-comment period that ended Jan. 30. By the comment period’s official close, the Department had received more than 100,000 comments. Students from the College, Law School, Kennedy School, and Graduate School of Arts and Sciences filed comments. 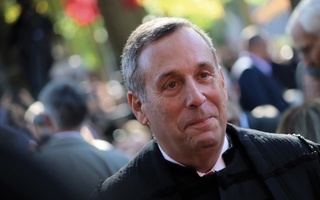 The University submitted its own comments via the Association of Independent Colleges and Universities in Massachusetts and the Association of American Universities, while the College’s Undergraduate Council and several professors at the Law School also shared their thoughts. Six Harvard graduate and undergraduate student groups contributed to the joint comment, including campus anti-sexual assault advocacy group Our Harvard Can Do Better, the Harvard Graduate Student Union’s Time’s Up Committee, and the Harvard Law School’s Harassment and Assault Law-Student Team. 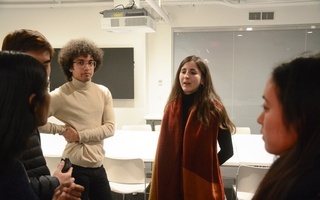 Sanika S. Mahajan ’21, an organizer with Our Harvard Can Do Better, said that though the group originally planned to submit an independent comment, they decided it would be productive to join forces with other campus organizations. 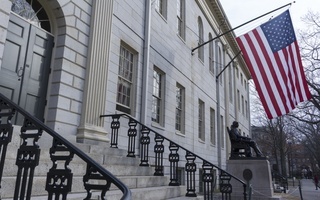 “We thought it was a great idea because it allows us to give the Department of Education a comprehensive, unified overview of the perspectives we bring from Harvard,” she said. Rebecca F. Prager, the president of the Law School’s Harassment and Assault Law-Student Team, wrote in an emailed comment that the group was proud to share its concerns with DeVos’s office. “It was such a wonderful opportunity to work with other Harvard University students and groups on the comment, especially given the significant implications the proposed Title IX rules will have for our community,” she wrote. In the joint comment, the student groups highlighted their concerns with the proposed rules’ live hearing process and its redefinition of sexual assault. They also wrote the new rules may make investigative processes appear to be more similar to criminal trial proceedings. The groups also argued the new changes stem from an underlying belief that there is an “an epidemic” of false sexual misconduct accusations against men at universities. “We are concerned that the narrative of false accusations and men being victimized by false reporting incorrectly identifies Title IX enforcement as only benefitting women, when a robust Title IX enforcement actually benefits men as well,” they wrote, also noting that Harvard’s 2014 sexual assault survey found that 23 percent of complainants were men. In addition to the joint comment, Mahajan said Our Harvard Can Do Better supported ten other student groups in writing comments of their own. Mahajan said she is happy with the response Our Harvard Can Do Better received from the other student organizations. “We’re so grateful to the organizations that we’ve worked with to write this comment, and also the other organizations that wrote their own individual comments with us,” she added.